If there is one king indicator in the solar industry, then it is the solar panel cost. From the manufacturer to the installer, it is the most looked after piece of information. And it can turn into a real obsession. The last weeks perfectly illustrate this phenomenon as the steep price decrease of solar panels together with the latest analysts reports anticipating the next deadly price war have brought the focus once again on this topic. Over the years, the price criterion became overwhelming. As if there was nothing else to take into account when putting a device outside, expected to work perfectly for two decades, rain or shine. Some will see in the coming situation great opportunities for good deals. But what’s actually behind? Companies will have to make choices for their survival. At the expense of reliability probably. That’s why we would like to address a warning to those who buy modules. And if we don’t have a crystal ball, we can still learn from the past. Here is why. It starts a decade ago. For those who were already in the photovoltaic industry, this period looks like a dream. The feelings are vivid although our reason tells us it is unreal. From a business perspective, it was unreal indeed. Massive load of people reconverting into solar, money flowing, generous subsidies schemes, record profitability and a will to earn even more. Sounds like the gold rush of the 19th century, or closer to us, the characteristics of a financial market bubble set to burst. The industrial bubble eventually exploded violently. The deflagration took away dozens of companies with flawed business models, financial structure and technologies that swallowed up billions of dollars from public and private investors. Followed a period of strong price decline, pressure on margins and consolidation. Several years later, a phenomenon currently happening in Italy gives reasons to think about our industry so keen on focusing on the price of solar panels. Italy used to be one of the world’s biggest market before generous subsidies were halted in order to cool down the market. A couple of years later, we are observing a trend dubbed “revamping”. This expression is used to describe the dozen and dozen of MW of underperforming solar panels slated to be replaced. Why? Because the expected yields are not met, which put investors business plans at risk. And this is only the emerged part of the investors/owners iceberg that follows yields as the boiling milk on the stove. What about the rest of the market that invested in photovoltaic plants and is not equipped nor skilled to evaluate if promises are delivered? The question is tricky. While keen on commenting the positive developments of our industry, we are not so inclined at making our self-analysis. It may be a reason why these topics are not so publicized. Back to those crazy times, if one would try to make sense of what happened, several conjectural explanations come to mind like the tight supply of qualitative solar modules. But if we dig further and rely on the first hand experience of modules manufacturers, the answer is easier and much more straightforward. Already at this time, when the profitability of the projects was sky high, solar panels prices were never low enough. At a point, it was so easy to make the excel financial models get better and better by adjusting prices downwards that it was tempting to forget some hard facts. It is known that vision trumps all other senses. We may put forward the hypothesis that commonalities between product look and data sheets values made most investors jump probably too easily to the conclusion that solar panels are all the same. 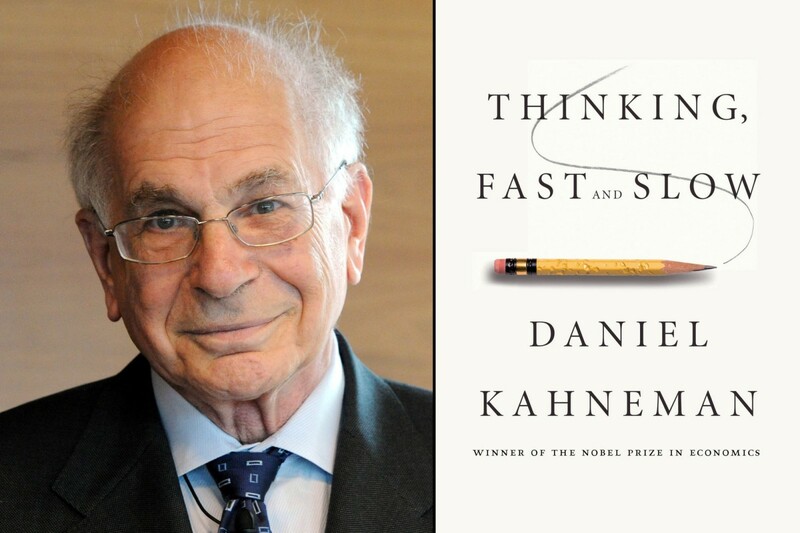 Daniel Kahneman is a psychologist who dedicated his lifelong career to the study of decision-making. He was granted the Nobel Prize in Economics in 2002 for his research that contributed to soften the rational behavior view of human beings that prevail in economic theory. His book,“Thinking. Fast and slow.” sums up the findings of decades of research in the science of decision. What can we learn from it that could enlighten our very own situation in the PV industry? Research finally proved what the philosopher Baruch Spinoza sensed in the 17th century : we don’t like something because we think it is good, but we like something so we think it is good. Kahneman insightful findings invite us to take a step back and think about the way we make decisions. The human nature and its inclination to go beyond what is reasonable gave food for thoughts from the Tower of Babel myth to the Irrational Exuberance concept of Nobel Prize Robert Shiller. Have we always been reasonable in the PV industry? Probably not. Nobody’s perfect. But being aware of patterns makes us already better. Solar panels are often considered as commodities. This term is widely used in the finance sector. Investopedia defines it as “a basic good used in commerce, that is interchangeable with other commodities of the same type”. If the cost of solar panels is so important it is because solar panels are considered like interchangeable commodities. But are they really commodities? Isn’t it a comfortable story we tell ourselves to simplify a more complex situation? There is indeed complexity and know-how involved in the production of solar panels. But if you only have a data sheet to make sense of it, then What You See Is all There Is. The solar price won’t necessarily capture all this complexity neither the Total Cost of Ownership of the product. Commodities exist only if we accept them. The Italian revamping example showed that differences exist. That’s why we still need initiatives, like the PVDI from the Fraunhofer Institute, to better simulate, evaluate and understand what’s going on during the life of a solar panel. Let’s not forget that the biggest junk of the PV worldwide capacity has been installed while the industry was in a consolidation phase undergoing huge pressure to cut solar panels costs, with all the potential negative consequences we can imagine on quality. While there is no need to paint the situation darker than it really is, it is reasonable and wise to keep a critical eye, like the Black Sheep series of PV Magazine for example. To avoid indulging into blind optimism not to see questionable behaviors in the industry nor throwing everyone in the same garbage, we can only invite people faced with the choice of a module supplier to delete the word commodity from their vocabulary, to embrace complexity by questioning things, gathering experience and ultimately knowledge, the only barrier to avoid the What You See Is All There Is trap.